After having dinner on a warm and humid night with my family at SS15, my mum was craving for some cold dessert. Me on the other hand, prefer something warm to calm down my senses after a nerve-wrecking day. 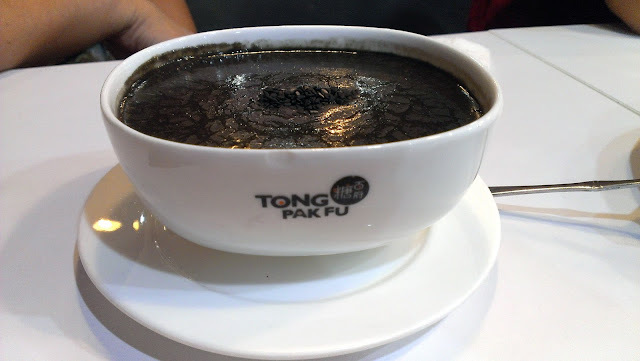 You'll be impressed as you go through Tong Pak Fu's menu. 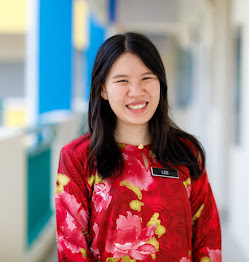 The serve an array of desserts ranging from traditional Hong Kong hot desserts such as peanut broth and red bean soup, to the modern-days desserts such as snow ice and to western-styled desserts like apple crumble and chocolate lava cake! 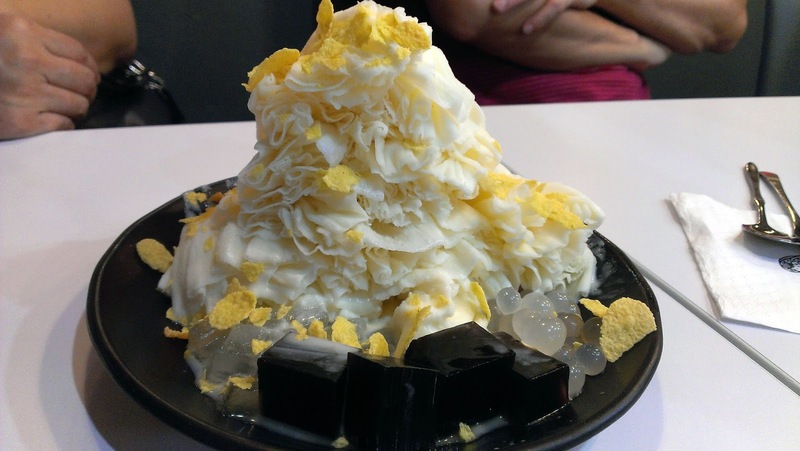 Served with Cornflakes, Grass Jelly Cube and burst-in-the-mouth pearls on top of layers of fluffy and soft snow ice! The saying "Opposite Attracts" is the perfect description for this dessert. The crunchy cornflakes was a contrast to the melt-in-your-mouth snow ice, but yet, they compliments each other so perfectly. The texture of the snow ice was really smooth and fine as the durian pulp was sifted to remove its fibre. The snow ice melts in your mouth.The rich and aromatic flavour of durian lingers in your mouth with every spoonful, leaving you craving for more and more A must-try for all durian lovers! Rich in flavour, thick & smooth in texture. I really enjoyed this dessert. The sweetness wasn't cloying at all, and it's just nice for my liking. The aromatic smell of roasted sesame tinkles your taste bud with each spoonful.